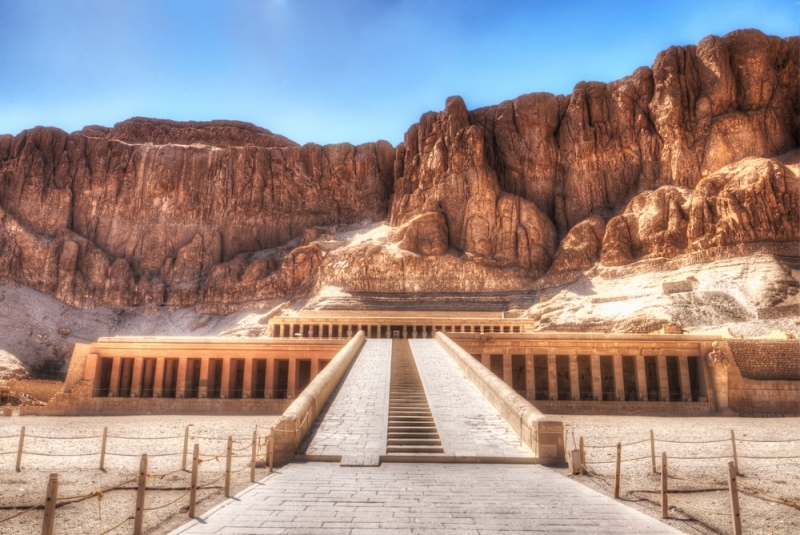 Named after the only female Pharaoh in ancient Egyptian history, Queen Hatshepsut had her own Temple within the area known as the Valley of the Queens on the West Bank of Luxor, Upper Egypt. 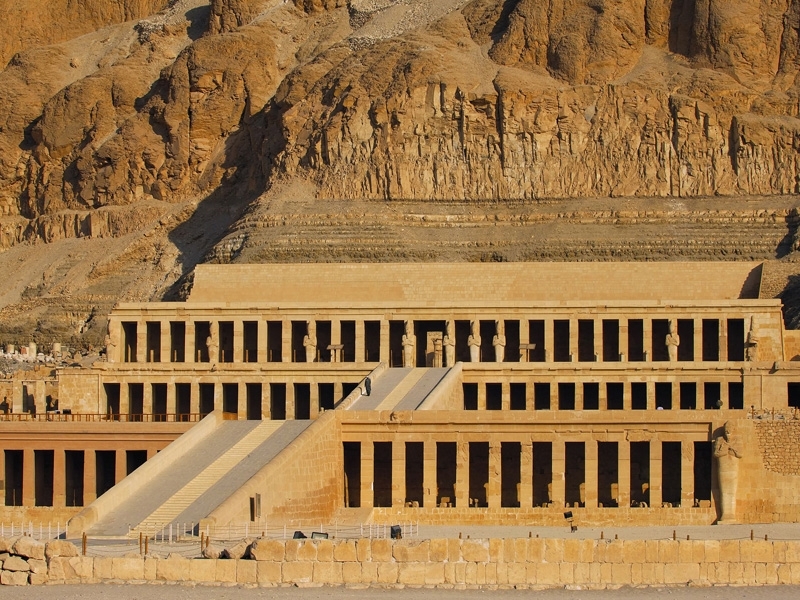 Located alongside Valley of the Kings, it is easily accessible and tours are generally a half day on the West Bank covering all the sites. A valley Temple was planned for the complex of the Temple, however, it appears not to have been completed. Leading up from it though, was a broad causeway, some 30 meters (100 feet) wide and punctuated by a bark shrine where festivals procession rested. Lining both sides of the causeway were granite sphinxes of Hatshepsut herself, in such large numbers as to invoke the image of sphinx alley between Luxor and Karnak Temples on the east banks of Thebes. The causeway ended in an enormous forecourt at the back of which are the lowest level colonnades. Although the walls of relief decoration behind the square columns are badly preserved, careful study has revealed the content of their scenes. In the north of the central ramp I a cycle depicting Hatshepsut's divine birth from the union of Amun an Queen Ahmose, wife of Thutmosis I. This is the earliest version preserved of the divine birth cycle, but it was renewed and usurped by Ramses II in the 19th dynasty. Some of the scenes are repainted and sometimes difficult to see. South of the middle terrace is a chapel of Hathor, built independent of the temple proper. it is situated to be as close to the early Hathor Chapel in the Mentuhotep II precinct as possible. 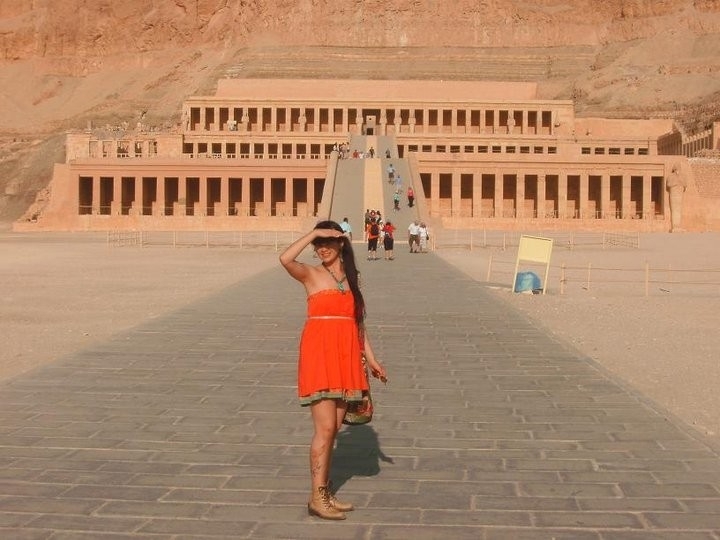 Within the chapel the queen associated herself with Hathor's offspring Ihy. She takes the child/calf's place suckling from the Hathor cow in several scenes. In the inner sanctuary are niches where Senmut showing himself with texts of praise to Hathor. The third terrace is marked by a series of colossal statues of Hatshepsut placed against square piers north and south of the central axis. A central granite doorway leads into a pillared court with decorated walls around its perimeter. Two paths lead up the mountain near Deir al Bahari. 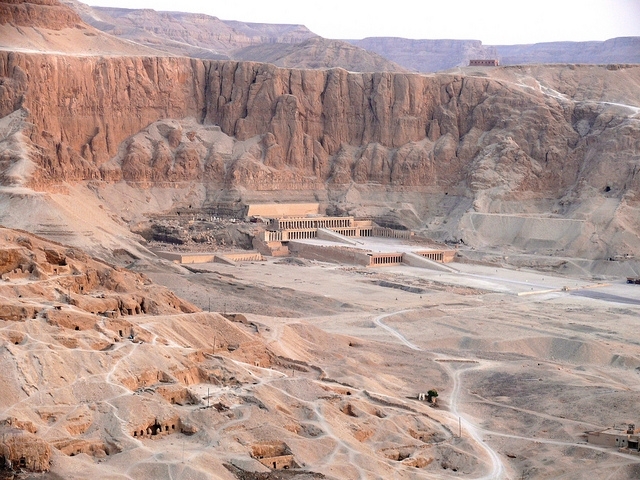 Climb to the top for some fabulous views, or walk across the hill to the Valley of the Kings. Note* Tickets for this temple are available from the ticket office at the entrance to the site.